I am selling my beautiful David Fielden dress from the Sposa 2016 range. (Dress number 8519) I wore this on our wedding day in Sep 2016 and wish I had the chance to wear it again; it was so comfortable and unrestrictive! 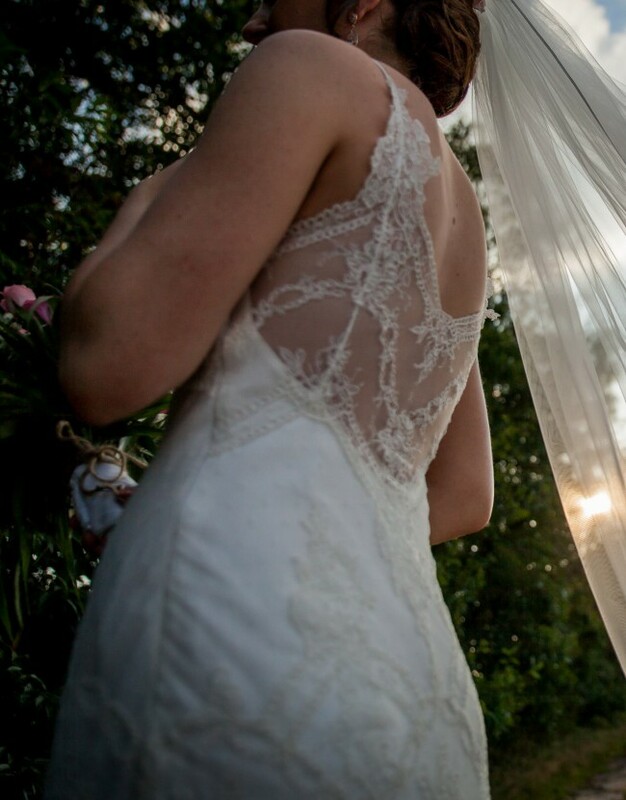 It has a beautiful lace and polka dot detail at the front and back of the body, with a more intricate lace detailed back as shown in the pictures. The RRP was £2600 and some alterations were made at the waist and bust area. It was professionally dry cleaned immediately after our wedding. I am 5.5ft, a size 8/10 and wore 3inch heels.